In modern usage, a shibboleth can be anything -- a custom, tradition, pronunciation, an old wooden ship named “diversity,” etc. -- that distinguishes one group from another. For those who don’t know, it comes from the Book of Judges in the Hebrew Bible. Long story short, the Gileadites beat the stuffing out of the Ephraimites. When the surviving Ephraimites wanted to get past the River Jordan incognito, the Gileadites had a test to tell them apart from other travelers. They first asked the strangers if they were Ephraimites. If they said “No,” the soldiers asked them to say the word “shibboleth,” which referred either to a part of a grain plant or maybe a flood. But the definition didn’t matter, the pronunciation was everything — because the Ephraimite dialect pronounced “sh” words with an “s” sound. So anybody who said “sibboleth” got the business end of a sword (or perhaps a spear or some sort of pike — I’m no expert on such things). According to the Bible, some “forty and two thousand” Ephraimites went to their maker wishing they had a lisp like Cindy Brady. By the way, lest you indulge your desire to condemn the ancient Hebraic penchant for smiting and wrath, similar stories were common across Christian Europe. In 1302, the Flemish massacred every Frenchman they could find in Bruges. They identified them by asking them to pronounce the phrase schilt ende vriend (shield and friend). In 1794, the Sardinians rounded up Piedmontese officers who couldn’t say nara cixidi, the Sardinian word for “chickpea.” And the list goes on. In modern usage, a shibboleth can be anything — a custom, tradition, pronunciation, an old wooden ship named “diversity,” etc. — that distinguishes one group from another. When American soldiers asked potential Nazi spies who won the World Series, they were using a shibboleth. 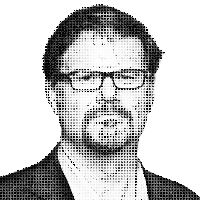 When you say in mixed company: “I can’t believe what Jonah Goldberg’s couch said this week,” it can serve as a shibboleth distinguishing between people who use their time productively and the dear readers of this “news”letter. Of the many things I inherited from my Dad, a love of walking around cities and looking at stuff is one of the most obvious — other than my chin, my love for cured meats, and a few other things. When I say “looking at stuff,” I mean exactly that, stuff. My Dad loved museums more than I do, but we loved people watching and stuff-looking equally (he was the guy who spotted the Hop Bird, after all). I’ll save some of those observations after I finish my time in Madrid next week, the Capitol of the Spanish Panem in my personal version of The Hunger Games (though in this version, the battles are waged over who can eat the most Iberian ham). But one of my habits is to see how many blocks I can go before I see a building that doesn’t have at least one window or balcony with a Catalan flag, sign, or banner hanging from it. Almost every building has at least one. There are other shibboleths all over the place. I don’t know much about the Catalan language, but it sure does like the letter “X,” and it seems to be everywhere the Spanish use a “ch,” and a few other places to boot. I’m not going to get deep in the weeds on Catalan secessionism, in part because I don’t want to get arrested walking from my hotel to Steve Hayes’s apartment this weekend (on Saturday I head to Madrid, where Hayes has been holed up swilling Spanish wine and plotting schemes and scheming plots). What interests me is how the EU makes secessionism more attractive, and I don’t mean in the Brexit sense. In the U.K., Brexiteers want their nation to leave the EU; in places like Catalan, the separatists want to leave their nation. Twelve years ago, I wrote a column on this. It began: “You probably don’t realize it, but we are living in an unprecedented historical moment. For the first time, Belgium has managed to be interesting without getting invaded by Germany or abusing an African colony.” What made it interesting? Dutch-speaking Flemings and French-speaking Walloons were squabbling like siblings in the backseat at the end of a long car ride. Okay that wasn’t the interesting part, exactly. Rather it was the fact that Belgium — itself a kind of mini-EU — was coming apart at the seams because the Belgian national project was being dissolved by the Belgium-led national project. This process can be seen all around Europe. As the “European” identity solidifies, national identities start to melt, and regional ones take on more meaning. The more the Scots can rely on the EU for state functions, the less they need — or want — to be with the English. This creates powerful incentives for old shibboleths to take on renewed significance. The most obvious one is language. Starting with Henry VIII, the English tried to eradicate the Welsh language. The Welsh are trying to bring it back. Similar stories are unfolding across Europe, from the Basques and Catalans to the Irish. Indeed, one of the things that fascinate me about the biological racism at the heart of Hitlerism was that the structure and framing of it was established a century earlier around mere language. What fascinates me about all of this is how the need for identity creates a need for shibboleths, in part because shibboleths, broadly understood, are what define the contours of identity. At my brother’s funeral, several of his wife’s relatives brought flowers. The rabbi gave a fascinating little story about how Jews used to put flowers on graves but stopped millennia ago as a way to distinguish Jewish customs from non-Jewish ones. Since then, a whole Talmudic tradition has evolved around the Jewish customs of putting stones instead of flowers on graves. One explanation is that there should not be distinctions of class in such matters. One of the best Jewish burial customs — with which I have too much experience — is that everyone should be buried in a simple wood casket, because everyone is equal in death. I find the idea that loved ones should go into extra debt to inter their beloved in gaudy coffins very off-putting. The tradition of putting stones instead of flowers on graves is understood in part because stones are eternal. The coalition instinct — that topic of endless fascination for me — is amorphous in that it can attach identifiers of identity (which I suppose is a redundant phrase) to anything. Gang colors, inside jokes, idiosyncratic pronunciations, knowledge of sports statistics, subtle distinctions in religious doctrine, fondness for podcasts that indulge in Dune trivia — the list is endless. Shibboleth isn’t necessarily the best word for all of them — some are badges, insignia, MAGA hats, or other forms of signaling. But the concept is basically the same. Like just about everyone, I am mesmerized by the college scam story. I write about it in my column today. Still, I will join the ranks of the outraged by disclosing my own bona fides. I went to college the old-fashioned way: by applying to an all-women’s school right as it went co-ed. As I often like to say, my freshman year Goucher had 30-odd men and more than a thousand women — and I do mean 30 odd men. Before being an affirmative-action success story, I was rejected from every other college I applied to. My high school record was, at best, a Rorschach test. On the one hand, I had the worst GPA of any student in my class who wasn’t kicked out. On the other hand, when I was interested in a subject, I did very well, winning various awards for papers and whatnot. My SATs were fine (thanks mostly to the verbal section), but most admissions officials looked at the Rorschach blots on my transcript and saw a train wreck rather than a diamond in the rough. For what it’s worth, my high school at the time was the subject of an intense debate about its status. It can be summarized by the question, “Was it the worst school on the A list or the best school on the B list?” Dwight at the time was the school you went to if you couldn’t get into Collegiate or Horace Mann — or if you failed out of them. At Dwight, I saw firsthand how some of the most middlebrow kids at my New York private school organized their whole lives — or let their parents organize it for them — around the box-checking quest to get into an elite college. These kids didn’t have many interests or hobbies — just a singular focus on grades, test prep, and extracurriculars. Since I indulged my interests — social, nerdy, intellectual alike — to the detriment of my grades, this bred a good deal of resentment in me. When I was in my twenties, that resentment carried over. I had something to prove, which is why when I started out at AEI, I threw myself into learning stuff I either felt I missed in college or thought my mostly Ivy League policy-wonk peers already knew. The chip on my shoulder shrunk and finally vanished over the years because it’s a stupid thing to get hung up on (though I do enjoy speaking at all the colleges that rejected me, never mind the ones I never dreamed of applying to in the first place). Having worked in the worlds of think tankery and eggheady journalism for three decades, I’ve learned to take people as I find them. Ramesh Ponnuru is possibly the smartest person close to my age I’ve ever met, and he went to Princeton — where he was a star student. Arthur Brooks, the outgoing president of AEI, is another of the smartest people I’ve ever known. He got his college degree by mail from Thomas Edison State College. Conversely, I’ve met more than my share of buffoons and cranks with impressive degrees (Jerome Corsi has a PhD from Harvard!). They may not have been true morons, but they couldn’t hold a candle to some college drop-outs I’ve known — without burning their fingers. For the children of the affluent, particularly those outside the STEM fields, higher education is both a kind of Game of Thrones citadel where the Maesters get their chains conferring special status and a four-year Rumspringa for crapulent social strivers. Kids are taught to be hostile to, and ungrateful for, the very civilization that lets them live like princelings. I don’t want to repeat what I wrote in my column, but I do think it’s worth noting that these literal indictments are not quite the figurative indictments many are making them out to be. It’s instructive that the first reflex of much of the mainstream media has been to search for vindication of minorities who benefit from affirmative action. I understand why. But keep in mind, the rich and famous parents ensnared in this scandal may go to jail for what they did. In other words, there’s a deep contradiction between saying, “this is how the system really works” while overlooking the fact that the government is filing criminal charges against the very people you’re holding up as examples of how the system works. The implied remedies some people are touting would make the system less, not more, fair because it would give even more arbitrary power to the clerisy running higher ed. The assumption seems to be that since the wealthy have so many advantages (true), the bureaucrats need to substitute their own judgment even more in the name of social justice. We already know this is happening, because the most systemic discrimination in elite college admissions is against Asian Americans who have the right grades and test scores but haven’t mastered the shibboleths of wokeness the gatekeepers are looking for. Canine Update: So I have nothing first hand to report since I haven’t seen the beasts in eight days. But we are getting some excellent proof of life updates from home. It seems Zoë in particular is getting quite bossy with her parents gone, sort of like a teenager who thinks she’s in charge, not the babysitter. That probably explains some of her misbehavior. It also seems like the girls miss us and think we’re hiding in trees. Even so, it’s amazing how not worrying about the dogs while on vacation makes it so much easier to relax. Ah, and before I forget: March 28-29 is the National Review Ideas Summit in Washington, D.C. I will be there to discuss (the polite term for “debate”) nationalism and populism with my handsome and powerful boss Rich Lowry. But honestly, as important as that debate is to me, it’s only one among many reasons to attend. The cast for the Summit is amazingly, almost ridiculously stacked. You’ll find both your favorite NR types (Kevin Williamson, the so-called “notorious MBD,” David French, etc.) and a sizeable smattering of political types (Secretary of State Mike Pompeo, Senator Marco Rubio, Congressman Dan Crenshaw, and more) among the featured speakers. If none of this can convince you to come, then surely the karaoke sessions afterward will. (Note: They may or may not be happening.) Remember also that, in mild Brigadoon-like fashion, these things happen only every other year, so don’t skip out thinking you can just come next year. Sign up here. And now, the other stuff.